But what was understood in the discussions, or at least implicit, was that my younger siblings would be held to the same standard. 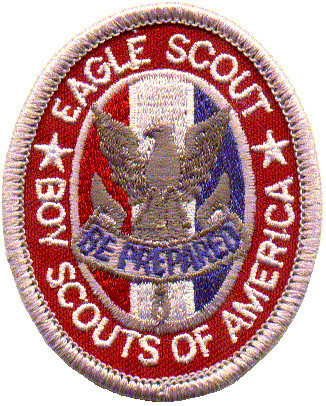 Namely that my sister would need to receive her Young Women’s recognition and my brother would also need to earn the rank of Eagle Scout. So that was copasetic. Imagine my dismay when my sister’s peer group shifted from church to her soccer league and my brother ultimately wanted nothing to do with any part of Scouting after the Cub Scout pinewood derby. Needless to say, the same standard for securing a driver’s license in my family was obliterated three years after it was set, then completely demolished, stomped on and destroyed again three years after that. I guess it wasn’t a standard at all. Now that I’m a parent I certainly get the concept and reality that each child is very different. I also see the importance of having family standards. And you know what? I intend to motivate my son the same way I was motivated. He’ll need to receive his Eagle Scout before he can drive. Hopefully he receives his Eagle long before driving becomes an issue. And rest assured he’ll know it’s expected long before he turns 15, or even 12. Also, we have the luxury of working with our daughter first. So the example will be set by her accomplishment in the LDS Church’s young women’s program. Then my son will need to follow through with his Scouting work as part of the young men’s program. Either that, or one or both of them can wait until they’re 18 and on their own to get their driver’s license. The key for me is that the bar is set long before they’re talking about getting a driving permit or license AND the requirement remains in place for everyone in the family. Them’s the family rules. That approach, to me, seems appropriate and fair. Catch me in another dozen years or so and I’ll let you know how it all worked out. 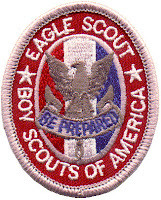 Image credit: meritbadge.org (used with permission).